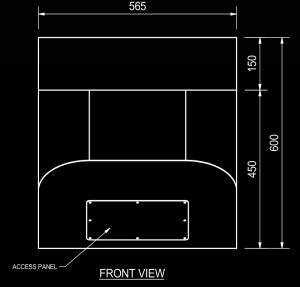 Prison basin, surround wall mount, 390 x 320 x 250 mm (Franke Model HDS. 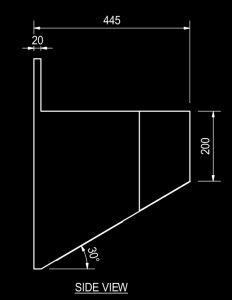 Unit to be manufactured from Grade 304 (18/10) Stainless Steel, 1.2 mm gauge. Manufactured with a pressed bowl 360 x 280 x 140 mm deep and an outer casing with a welded base plate. 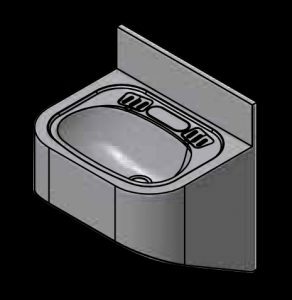 Basin to be supplied complete with a pressed perforated waste outlet, with a 50 mm diameter Stainless Steel outlet pipe which extends 250 mm and four x 8 mm Ø x 250 mm long galvanized mild steel threaded rods for fixing the basin to the wall. 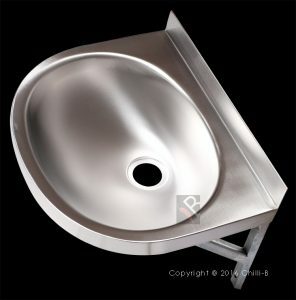 Franke Model HDSSB Surround Wall Mount Basin, 390 x 320 x 250 mm, with a 150 mm splash back. 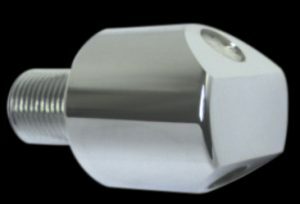 Unit to be manufactured from Grade 304 (18/10) Stainless Steel, 1.2 mm gauge. 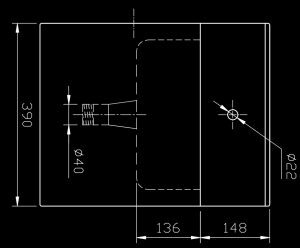 The unit to be manufactured with a pressed bowl 360 x 280 x 140 mm deep and an outer casing with a welded base plate. 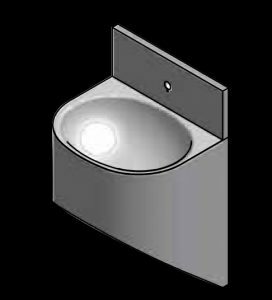 Basin to be supplied complete with a pressed perforated waste outlet, with a 50 mm diameter Stainless Steel outlet pipe which extends 250 mm. 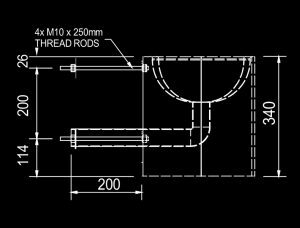 Supplied with four x 8 mm Ø x 250 mm long galvanized mild steel threaded rods for fixing the basin to the wall. Surround Wall Mounted rectangular basin, 390 x 490 x 382 mm, with a 150 mm splash back. 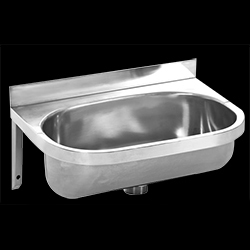 The prison basin is manufactured from Grade 304 (18/10) Stainless Steel, 1.2 mm gauge. 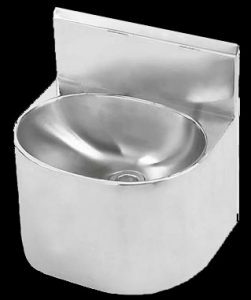 The bowl is fabricated with dimensions 319 x 227 mm. 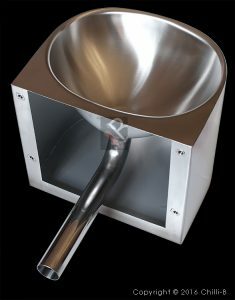 The prison basin is supplied complete with a pressed perforated waste outlet, with a 50 mm diameter Stainless Steel outlet pipe which extends ±250 mm. 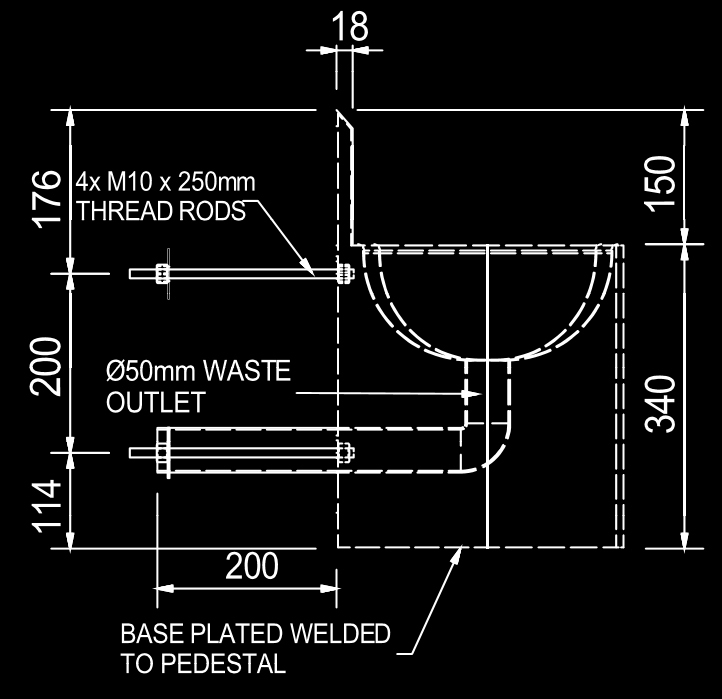 Unit to be supplied with four x 8 mm Ø x 250 mm long galvanized mild steel threaded rods for fixing the basin to the wall. 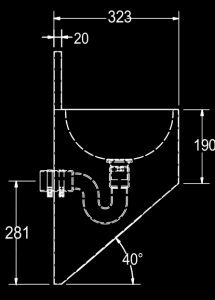 The prison basin is designed to be wall hung with access to the plumbing from a duct. 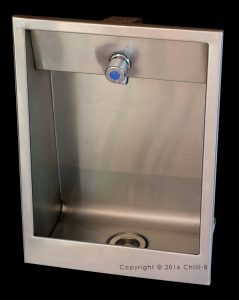 A hole in the splash back allows for a small WC-SSB/15 drinking fountain basin spout and the concealed metered valve with stainless steel sleeve must be installed separately. 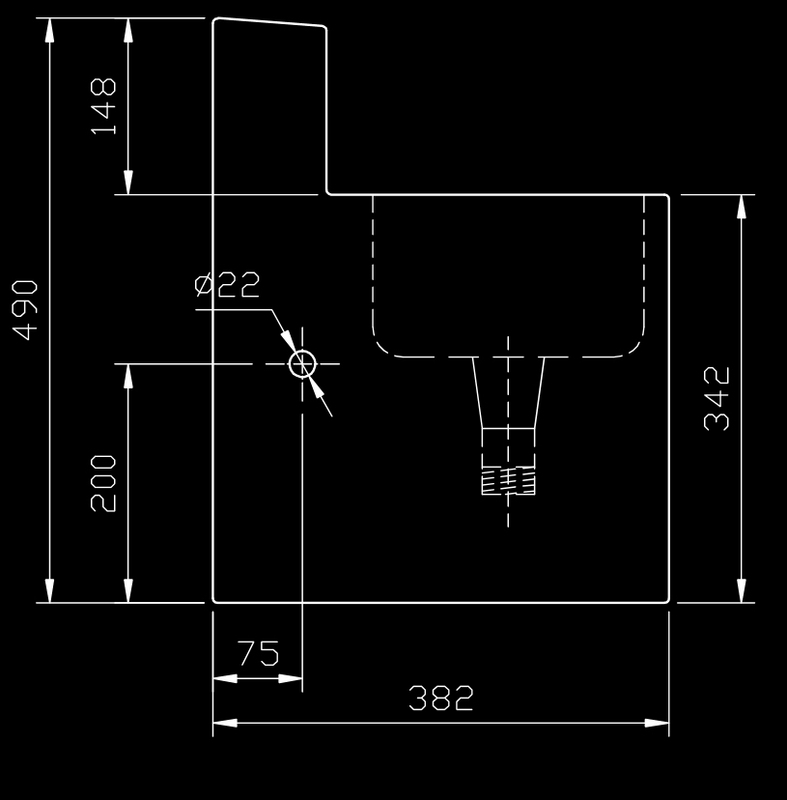 The plumbing such as taps etc are not included and must be specified. 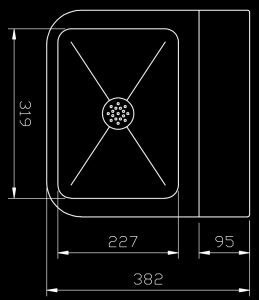 Franke Surround Wall Mount Basin 390 x 320 x 250 mm with a 150 mm splash back manufactured from Grade 304 (18/10) Stainless Steel 1.2 mm gauge in a satin finish. 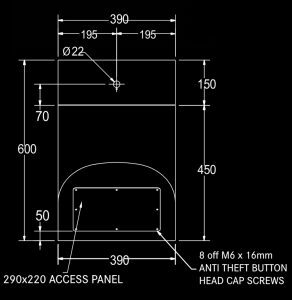 The unit has a pressed bowl 360 x 280 x 140 mm deep and a polished outer casing with a 40 degree angled base with an inspection panel with security screws. Unit complete with a 40 mm perforated waste outlet. 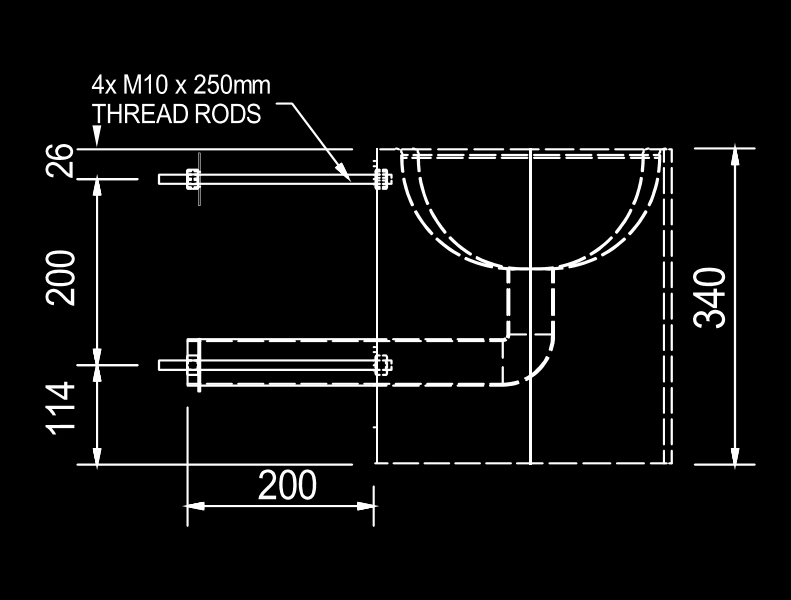 Basin supplied with four 8 mm x 250 mm long galvanized mild steel threaded rods for fixed through the wall. Franke Wash Hand Basin Wall Mount Basin 454 x 390 x 450 mm with a 150 mm splash back manufactured from Grade 304 (18/10) Stainless Steel 1.2 mm gauge in a satin finish. 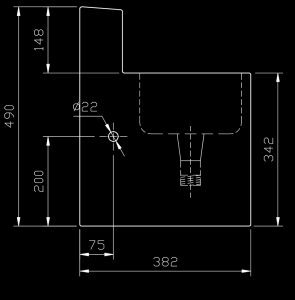 The unit has a pressed bowl 410 x 300 x 140 mm deep and a polished outer casing with a 34 degree angled base with an inspection panel with security screws. Unit complete with a 40 mm perforated waste outlet. 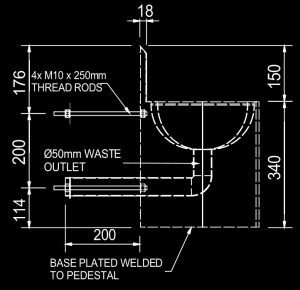 Basin supplied with four 8 x 250 mm long galvanized mild steel threaded rods for fixed through the wall. 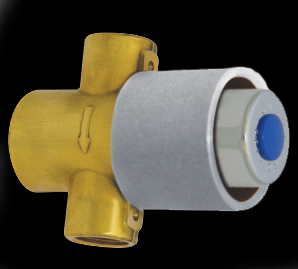 The prison basin spout valve or concealed tap is used inside cells to activate the basin spout. 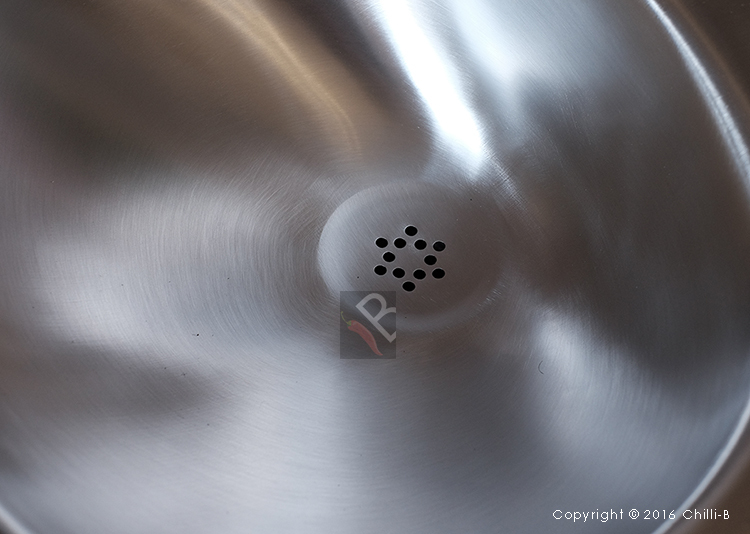 The particular basin spout also serves as a drinking fountain by closing the bottom spout outlet with your finger. 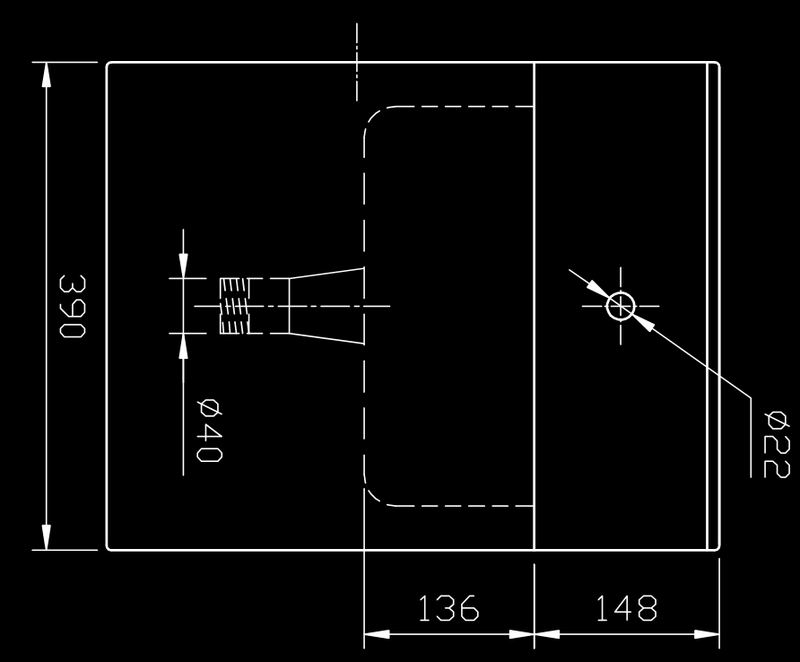 Detailed instructions can be viewed here. 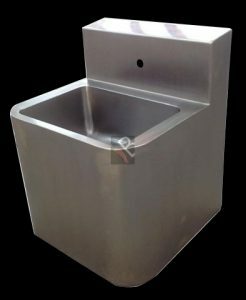 Although not suitable for prisons and security areas such as holding cells, the basins below are popular in vandal prone areas such as factories and mining. 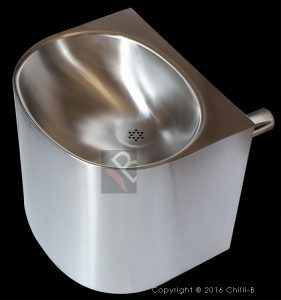 The recessed drinking fountain basin combo is suitable for prison cells and other areas that are vandal prone. 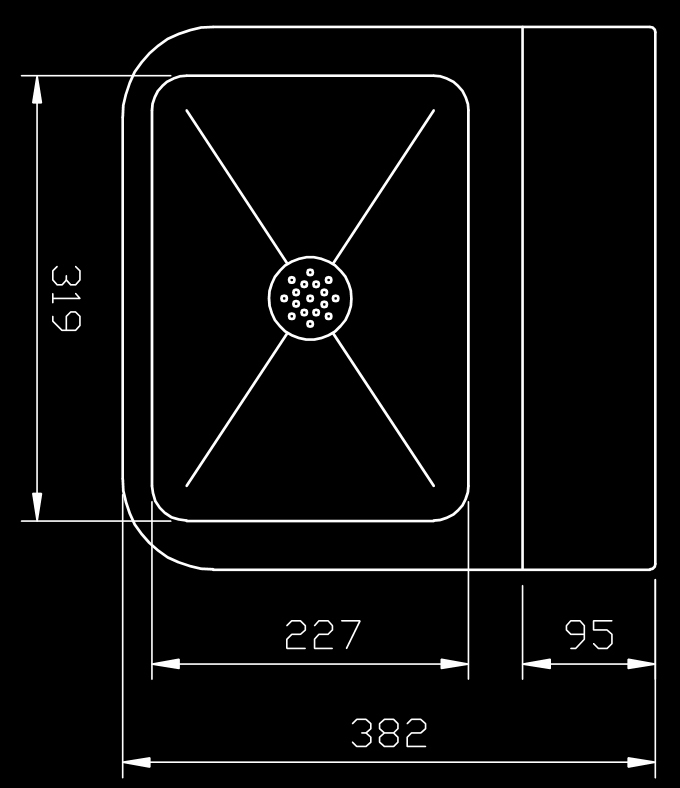 Recessed high security drinking fountain basin combo complete with fittings. Click on image for more details.